The second single released through FOUR|FOUR from 2016′s Sierra-Kilo-Alpha out April 22. Out Now! The first single from the forthcoming Sierra-Kilo-Alpha out April 22 2016 on FOUR|FOUR. Out Now! Through FOUR|FOUR at JB Hi-Fi or all good records stores as a CD or double disk VINYL with bonus tracks. International shipping from ABC Music or JB Hi-Fi. 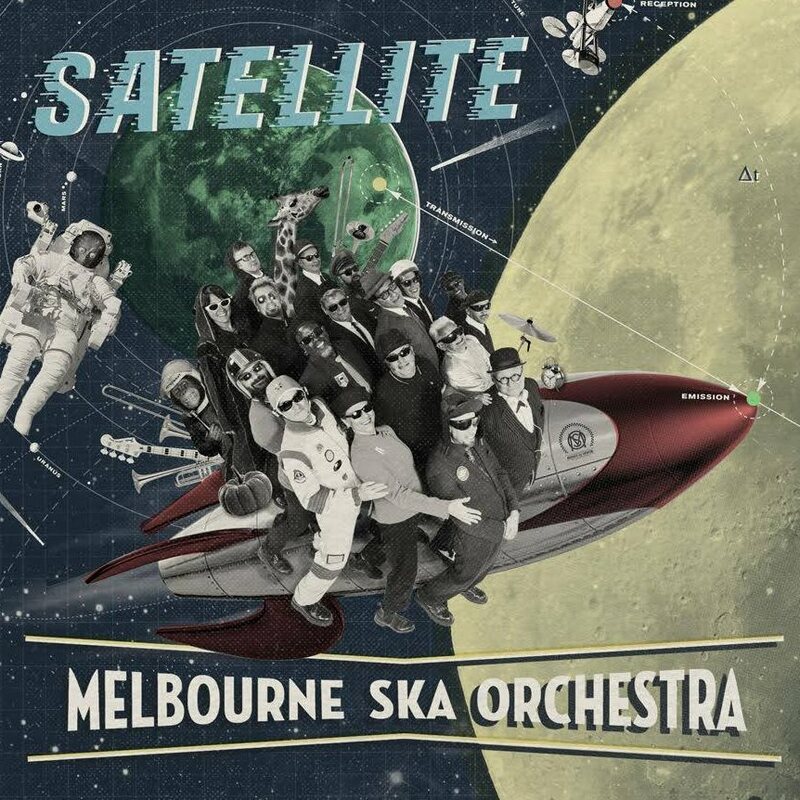 The album was nominated for two ARIA AWARD categories in 2013: Nicky Bomba & Robin Mai for ‘Engineer of The Year’ and Melbourne Ska Orchestra for ‘Best Blues and Roots Album’. OUT NOW through Transmitter Records & Vitamin Distribution. *Deluxe CD Edition* AVAIL. in JB HiFi or all good records stores. International shipping from Vitamin OR JB HiFi. Nicky Bomba has jumped on his musical boat again to deliver a party filled island adventure with his new band BUSTAMENTO. Their new album “Intrepid Adventures to the Lost Riddim Islands”, finds Nicky sourcing both classic and rare tunes whilst writing a whole swag of new songs in keeping with the form, covering the Calypso, Mento, Early Reggae and Ska styles. Recorded using old school techniques by award winning engineer Robin Mai and produced by Nicky Bomba, the songs were played live to capture the chemistry of the band which has existed in many different forms for over 15 years. Nicky recently received the highly prestigious Music Fellowship Award from Australia Council and this album is one of many planned under that banner. 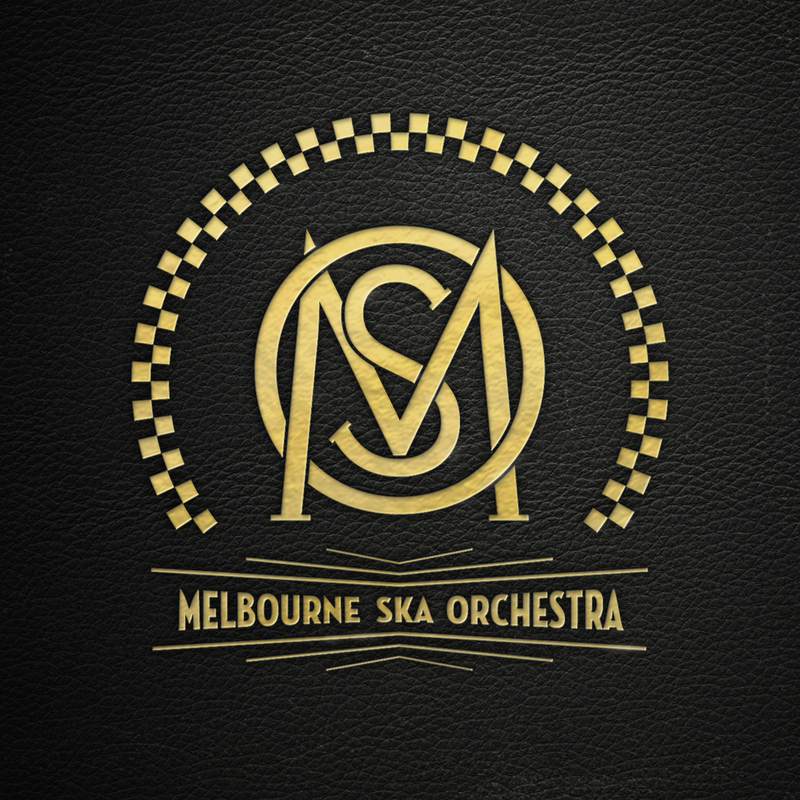 As conductor of the Melbourne Ska Orchestra, drummer for the John Butler Trio, leader of Bomba and now with BUSTAMENTO, the next couple of years spell an exciting time in his musical journey. From the hillside town of Lower Christiana Jamaica, comes a song of reason and defiance. A small island with a high output of great music, sometimes it is the only voice people have. Highgrade is Gong Joly’s story about Jamaican life, celebrating a sacrament…Bless, Nicky Bomba. The first offering from Planet Juice and Nicky solo. This song celebrates the philosophy of totally embracing and being present every day. Nicky toured Australia with a trio for this EP and features an old school version of “Cherry Oh Baby”. This album has been a long time coming. From an early age, Nicky was surrounded by a close Maltese community, who would sing these songs with the spirit of joy at countless gatherings. When his father Nicol reached the age of 70, Nicky decided it was time to capture this sense of community in a record. “There are some humorous tales, folkloric yarns and even some tragic stories.” Say’s Nicky of their song choice. “Malta is an Island with an incredible history so included some tunes I’d written inspired by the people… and Dad talks a little about his childhood and the shift from Malta to Australia”a This album not only gave Nicky a chance to learn the songs properly, but allowed him to carry on a tradition so rich in its heritage. When Joe Camilleri and Nicky set up Transmitter records in 2000 they saw it as a vehicle to produce and release the music they loved. It was inevitable then really that they would hit the studio together at some point and produce a CD that captured their passion for music, their Maltese heritage, and the incredible musicianship that they both exemplify. Featuring songs that had impacted their lives or moved them, such as Bjork’s ‘Human Behavior’ and Dandy Livingston’s ‘Suzanne beware of the Devil’, the lads duck and weave through rock-steady leanings and funky workouts and overall, delivering a cruisey take on some older tunes. The track ‘Iris (Why don’t you feed us? )’ gives an insight to Nicky’s personal history, telling the real story of his Mum’s (Iris) life from growing up in Malta to settling in Australia…at the mercy of a hungry household! On top of this, the boys composed a few original tracks, including the title track ‘Limestone’ as well as some others including ‘Miracle’ and ‘Transmitter One’, which act to bind this record into a remarkable tribute to the jovial Mediterranean lifestyle they both love. On a constant search for the roots of music, Nicky was more than pleased when the crew at Multicultural Arts Victoria (MAV) suggested that he should hook up with this crazy Ethiopian Masenko player by the name of Dereb. “After hearing Dereb sing and play the Masenko in my lounge room I was amazed at what I heard. We went straight to the studio and I set up some good mics and started recording. We had finished one track by the evening and both committed to make an album.” Nicky recorded a world music hybrid CD marrying the ancient sounds of Dereb’s mother country with his own funk and reggae attitude. It resulted in ‘DRUMS and LIONS” which inadvertently earned them a spot on the WOMAD circuit in Australia and overseas. There is so much to this story and the music that we suggest you follow these links. Nicky was interested in doing some dub remixes a la “dub side of the moon” and a friend pointed him in the direction of Israeli producer Laroz, who was a relative newcomer to Australian shores. The duo had a meeting, found much common ground and proceeded to remix tracks from the last Bomba band album “Learn to Breathe”. It all came together so effortlessly that it was actually finished before the official release of the band CD! Nicky and Laroz subsequently co wrote some extra tunes specifically for the album and the scene was set. “All night long” was to become the flagship of the record with a striking film clip. Laroz moved back to Israel and the honeymoon was over. Oh but what a child! Blaze A Fire! The last Bomba Band album to date, this record came about after months of touring. Lots of jamming took place to work up the core of many of the songs, staying true to the collective intention. Sessions began at the famous Adelphia rooms in Fitzroy (Melbourne) and continued onto Woodstock studios where the songs took shape over a couple of months. Classic rock-steady riddims in ‘One Fine Day’ to the down and dirty funk of ‘Hightime’ mixed with the manic ‘Spaced Out’ and “Running to Stand Still’ showcased the varied roads the lads were willing to travel. On forming the new band ‘The Overtones’ (which later became ‘Bomba’), Nicky paid tribute to the old- school rock-steady reggae formula. Songs such as ‘Hail that Taxi’ ponder the stop/start nature of some relationships, with the associated film clip being directed by Clayton Jacobson of “Kenny” fame. First released by Nicky’s previous band ‘The Truth” in the mid 90’s, ‘Can’t Help It’ has become a staple tune through all of Nicky concoctions, standing the test of time and proving to be a crowd favourite. The version of ‘Golden Wedding”, once the definitive drumming song, displayed the high level of musicianship within the band. Nicky Bomba produced and played the instruments on this sublime album with George Burarrwanga (for cultural reasons he is now known by this name after he passed away) a member of Gumatj clan, North East Arnhemland, Australia. A great storyteller, performer and Culture brother, ‘Nerbu Message’ was the first and only solo project of George who was also the lead singer of the Warumpi Band. The album has become a classic within the Top end Aboriginal Communities. A tour of Europe eventuated with BOMBA as well as many performances around Australia. George’s legacy as a true pioneer of Aboriginal music is well entrenched with this release. Nicky Bomba: Drums Jeff Raglus: Trumpet James Sherlock: Guitar Andy Price: Bass A fun idea for a quirky jazz reggae excursion resulted in Dubble Dub, a coast inspired quartet with some magnificent musical synergy. The debut album ‘Deadly Headly’ saw the band become favourites at local festivals and offered a fresh approach to an old jamming formula. 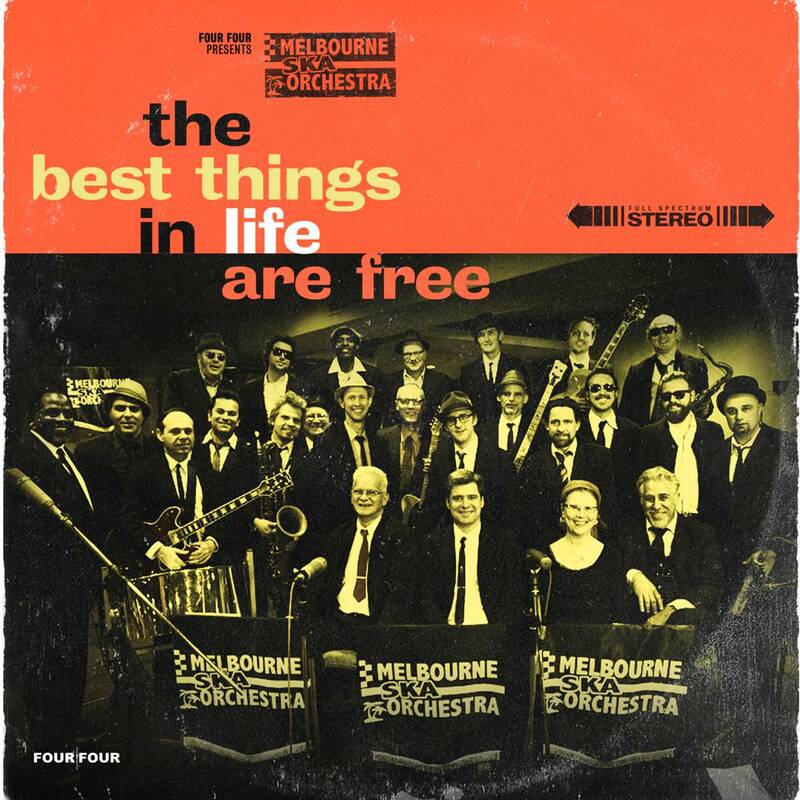 Nicky Bomba: Drums Tim Neal: Hammond Andy Baylor: Guitar David Williamson: Sax This band came about when a Wednesday night residency became available at one of Melbourne’s inner city venues. The group soon settled on a sweet synergy that prompted Nicky to set up some studio time and capture the feeling they had. A couple of amazing sessions later the band had the essence of an album, so Nicky took it down to the label boss at Mushroom records who loved it and offered them a little deal. The band proceeded to make a clip, release a single, receive instant radio airplay, get played on all the live TV shows at the time, did heaps of press interviews and win some awards. The single ‘my family” was used on two television ads and was included in a Liz Hurley film. “It was one of those dream runs that you read about” remarks Nicky “the band still exists …we’re just taking a long break!” On another quirky note, the album artwork was the first Australian album to be released with a “glow in the dark” cover! This is the original band where Nicky first started playing guitar and singing. “It started with covers of my favourite tunes then I started writing for the combo and haven’t looked back since!”. We had to change the name of the band as other groups around the globe had bet us to the punch. Bomba seemed unique enough! The title track ‘Hail that Taxi‘ was on our first ep which then morphed into Bomba’s first full length album ‘Population’. The clip was filmed at the famous Adelphia studios in Melbourne captured and edited by Clayton Jacobson of “Kenny” fame. 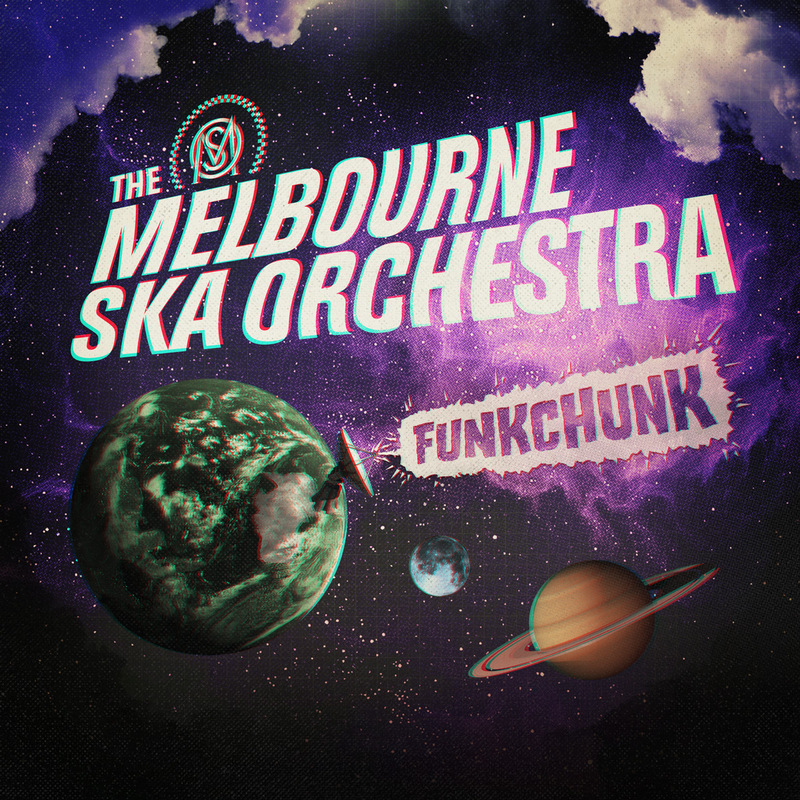 Nicky Bomba: Drums Michael Caruana: Keys Tony Kopa: Vox Geoff Wells: Guitar Formed in 1992, this band soon built up a massive reputation as a great live funk-rock unit and were consequently signed to Mushroom records and Grant Thomas Management (Crowded House). Constant touring and across the board acceptance of their self titled album by the industry should have proved successful but selling records in order to make it a viable investment eluded the band. Four releases ‘Heavy Friend’, ‘Can’t Help It’, ‘Spirit of Man’ and ‘Let’s Stay Together’, all with high quality film clips, made little impact on the Australian population and it was a disillusioned group that attempted the 2nd album ‘Headspace’. The first single “Shine” failed to tip the scales in their favor and soon the story ended. Featured on the ‘Stir Music’ compilation, ‘Hold Your Ground’ was written and recorded in support of the unsung heroes of our old growth forestry campaigns. View music video for ‘Hold Your Ground’. ‘Stir Music’ is an initiative of musician Nicky Bomba and Skye Riggs, who at the time of conception was the Director of Vision Generation South Australia. When Skye interviewed Nicky for Vision Generations global issues radio show, ‘Stir Radio’, there was an immediate connection between them, and they set about collaborating to further bridge the gab between young people and their understanding of global injustices around the world. The final product was a compilation CD aiming to raise awareness through music for the current global injustices in the world. Both Nicky and Skye are strong believers in the power of music upon our conscience. “Musicians are a really valuable alternative political voice, because they are not tied to a specific political agenda. Their audience already identifies with them, so there is immediately a built-up trust.” says Skye. With this in mind, she and Nicky set about the task of assembling a suitable lineup for the task. “It was very important to me to get a broad range of genres. This meant we could reach a lot of different subcultures and expose these ideas to a lot of different groups of people. The whole idea behind the CD is to give more people the opportunity to find out that we [Vision Generation] exist, what we do, and how they can get involved. So many people want to do something but just don’t know how. It’s about the first step; the CD is a great introduction.” Of course, being set the task, Nicky rounded up his musical friends and produced what was the cream-of-the-crop in Aussie Music to participate in the project. 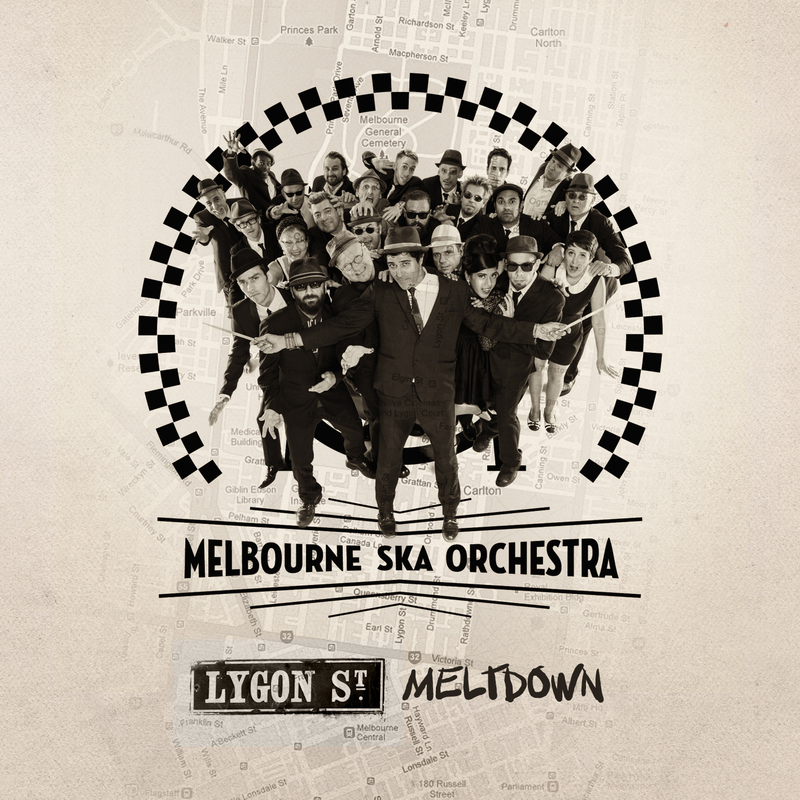 Featuring artists such as Hilltop Hoods, Blue King Brown, John Butler Trio, Paul Kelly, Lior and Bomba, each artist was asked to contribute one song of their choice, accompanied by a vision statement for the project. “Something I’m really interested in is how musicians are used to popularise and promote ideas, but I hate the way they are used tokenistically. Nicky and I were discussing how artists could be used in a more genuine way and have a more active involvement in the production. Eventually we came up with the idea of producing a CD where each artist could contribute their own vision, giving then an opportunity to say what they’re passionate about.” The vision statements can be accessed via the Stir Music website and give a really interesting insight into the particular issues that concerned each artist. This CD gave musicians the opportunity to voice their concerns and own vision for our world, as well as providing young Australians with the opportunity to engage in global issues in a way that is meaningful, digestible and fun. A spectacular 2 ½ hour live DVD of John Butler Trio’s headlining show at the legendary Red Rocks in Denver to a crowd of over 8000 people. The film is presented within a stunning 2 CD/DVD package. The DVD features footage of the moving performance from traditional Native American Dances, behind the scenes interviews as well as the official video clip for ‘Revolution’, which was the number one voted video on ABC TV’s Rage program in 2010. The set list from ‘LIVE AT RED ROCKS’ features 20 songs spanning JBT’s entire repertoire including choice cuts from the band’s worldwide critically-acclaimed albums. The highlight tracks being crowd favourites Ocean, Better Than, Funky Tonight, Close to You and Zebra. View DVD trailer here. A special livestream performance and chat with JBT was broadcast in July 2011. This, and other videos, can be viewed here . Nicky Bomba joined John Bulter Trio in 2009 as percussionist. April Uprising debuted at #1 on the Australian Aria Charts and was nominated in 2010 for Aria Awards in the categories ‘Best Blues & Roots Album’ and ‘Best Independent Release’. Two world tours have been undertaken with this album with a headlining show at the legendary Red Rocks in Denver with over 8000 people. A live DVD of this event has also been produced. Nicky played drums and helped produce John Butler Trio’s breakthrough album, which included the massive hit ‘Zebra’. His drumming provided a pivotal impetus to the rock and reggae sensibilities that set this album apart. Nicky declined to tour with the group because of his own commitment to his own music but found him a worthy replacement in good friend Michael Barker .